Having your teeth whitened will give your smile a renewed sparkle and improve your self-confidence. Why not enquire today to find out if you would be suitable for a brighter whiter smile? Here at Dental we offer three pain free whitening options. Tooth whitening is a really simple and effective way to lighten your teeth. Tooth colour is a very individual thing: it can darken as we get older and is affected by food and drinks like tea, coffee, red wine and smoking. Whitening lifts off stains from the enamel and only works on natural teeth; for advice about stained or discoloured dentures, crowns and veneers, contact us. During your FREE consultation we will listen to what you want your smile to look like. We will then put together a bespoke treatment plan which may include several different treatments. This is our intro whitening system suitable for all patients who want whiter teeth. The procedure is quick and effective, and takes between 2 – 3 weeks to complete. This is our in surgery system and is the latest technology. You can leave with significantly whiter teeth in just over an hour. Dental at MediaCityUK is one of the premiere Zoom Teeth Whitening dental practices in Salford. 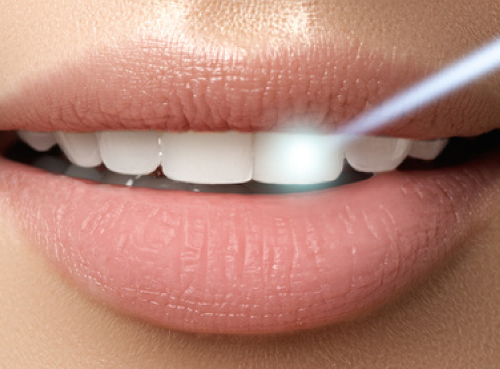 Zoom Teeth Whitening is a patented bleaching system that lightens the discolouration of enamel and dentin. You may have seen Zoom! Whitening being used in shows like Extreme Makeover and America’s next top model. The Zoom! Whitening system is used by our celebrity clients at our MediaCityUK practice very frequently. It depends on which method of whitening you choose. 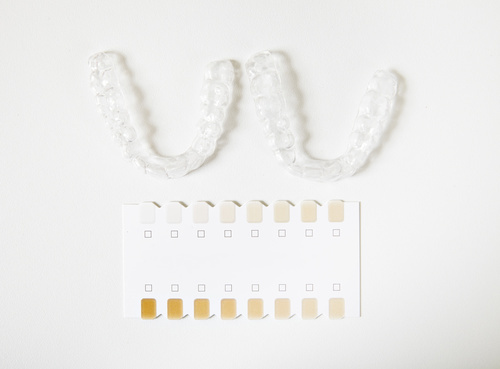 The Home Whitening kits are worn at night over a 2 week period or until the desired shade of white is achieved. You can top these up yourself when you think it is necessary. Zoom! Whitening is usually an hours appointment and could be done in your lunch hour. You can book top up appointments from as little as 15 minutes. You can choose how many shades you would like to lighten your teeth by before you begin. This will ensure that the colour still looks natural and is in keeping with your skin tone. All our dental whitening treatments are pain-free. You shouldn’t be in any pain or discomfort.